A worrying trend in the weekly charts we've seen in the UK throughout 2014 has been for Nintendo releases or system exclusives to make an initial appearance before rapidly tumbling out of the top 40, with the exception of Pokémon X & Y clinging on in the lower reaches. As we head towards July the latest major releases on Wii U and 3DS are showing some reasonable staying power, however, to help both systems through the traditionally barren Summer months. 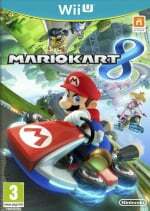 Mario Kart 8 continues to mix company with multi-platform releases, though has been pushed down to 7th in the all-format charts with the arrival of EA Sports UFC and the never-ending sales of FIFA titles being boosted by the World Cup; despite this it's still 4th in the single-format chart, behind the PS4 and One versions of UFC and Watch Dogs on PS4. As for Tomodachi Life, it's showing relatively decent legs, with the quirky Mii-sim securing 17th in the single format charts and 19th in the all-format charts, a modest drop since last week. The aforementioned Pokémon Y is outdoing its X brethren with a presence in the lower-reaches of both charts. Nintendo, with a relatively quiet release slate between now and September — in retail game terms — will no doubt hope to see these titles continue to mix it in the upper half of the top 40. Glad to see MK sticking around. I don't know if there's many big releases for anyone in the next month or so, so I imagine it shouldn't drop too fast. On the flipside, for those that think it's stupid to suggest this game could sell more in those first two days than it will in the following month... well it's happening in Japan and the UK. First two days saw 55,000 copies sold, the 21 days of June have seen 28,000 sold. Good to see it still in the top ten I wonder if we'll see a boost when the amiibo features are launched. Good to see a Wii U game sticking around in the top 10. It already has a lot more staying power than 3D World. This summer is barren for all formats too so I think it'll be there or there abouts for a while. Have any figures been released for the Wii U sales since Mk8 hit the shelves? (in the UK I mean). @NintendoMark 4th in single format. Pretty good standing considering all the other things releasing right now and MK8 being only on one platform. It's up there surviving with Wolfenstein, WatchDogs, FIFA (with an additional WorldCup sales boost), and UFC. @Peach64 wait, are people still saying that? It seems that noise all but died down after a full week of MK8 sales came in and it was lower than the initial release spike. 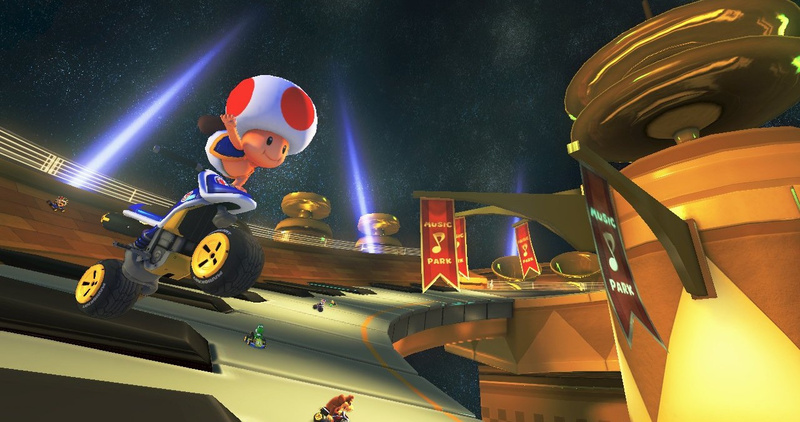 MK8 is the start of a great comeback that is about to happen for Nintendo....Love it! I saw Nintendo commercials during Rising Star, a new reality competition show. Hope a Bowser Jr Amiibo. Comes soon. I think Tomodachi Life is going to be the first major release by Nintendo that I'm not getting. I bought Animal Crossing and it wasn't for me, definitely. There's no denying it has improved things for Wii U. Non-gamers and family have asked me about MK8. It's a shame this wasn't a Christmas release because they look close to having sold to every UK Wii U owner now and there won't be a major increase in hardware sales until then. Unless of course Nintendo advertise all the other games really well. It's honestly surprising to see Tomodachi Life to stay in for 3 weeks. Mario Kart 8 sadly went down a bit. I'm not surprised that Murdered is at the bottom. EA has #1 once again. UK has no good taste. @faint I'm just going on the only two regions where we know the numbers. For the record, not trying to say June's NPD will be lower, and I'd be delighted if they rose, but a lot of people were suggesting that anyone thinking 2 days of sales would surpass 30 was an idiot. I think the fact it's going to happen in the 2nd and 3rd biggest markets says it's not such a stupid point. Mario Kart 8 deserves the attention and so does the Wii U. I'm burning to know the eshop sale-numbers! Nintendo's biggest first party game by far last gen, excluding the largely bundled Wii Sports, is doing "decent" on Wii U. How long has this game been on sale in the UK for? What about the rest of the world? What are those figures like? How are the system sales doing as a result of this game being released? I've been hearing from many shops that sell Wii U near me that they're having the "sold out" problem (many of you likely remember how difficult it was to find a Wii between launch and far into 2007). @Grumblevolcano What region do you live in? @Kirk Well I still think the biggest problem has been it's reputation. More and more journalists seem to be changing from indifferent to endeared and this will have a knock on affect to the people who read their output. @Kirk I don't think Nintendo is relying on one game to "save" the Wii U. I actually do not believe that Nintendo was expecting Kart 8 to sell millions of systems (expecting it to is overly optimistic). I think Nintendo knows that most people will wait until the holidays, where Kart 8, Smash, Hyrule Warriors, Captain Toad, Sonic Boom, and Bayonetta 2 + Bayonetta 1 will all be out. The combination will sell systems. As for Kart Wii, I personally think it did not sell as many Wii systems as everybody seems to believe - the Wii was already selling like hotcakes at that point. It sold to current owners mainly. Lots of casuals. @Peach64 Doesn't matter too much since Mario Kart is an evergreen title. edit: Mario Kart WiiU Bundle is number 29, Zelda preorder is on 31. The best selling XboxOne game is on 44. Wait. I'm confused, why aren't consumers buying other Wii U games along with MK8?